Very often we come across the situation to bind the static data to GridView control in .NET, either that is for the POC purpose or training purpose. Are you looking for Bind the static data to GridView control? Then check this article. We can do bind the static data to GridView control in several ways. Find the code for Bind the static data to GridView control. 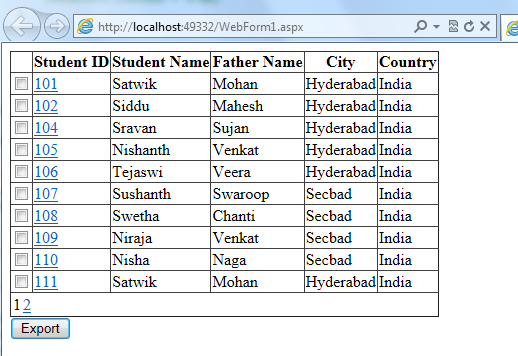 Below is the sample code snippet to bind the data to a GridView control in .NET.